I love the fact that now we are at the end of November, I can start making and posting Christmas related recipes. 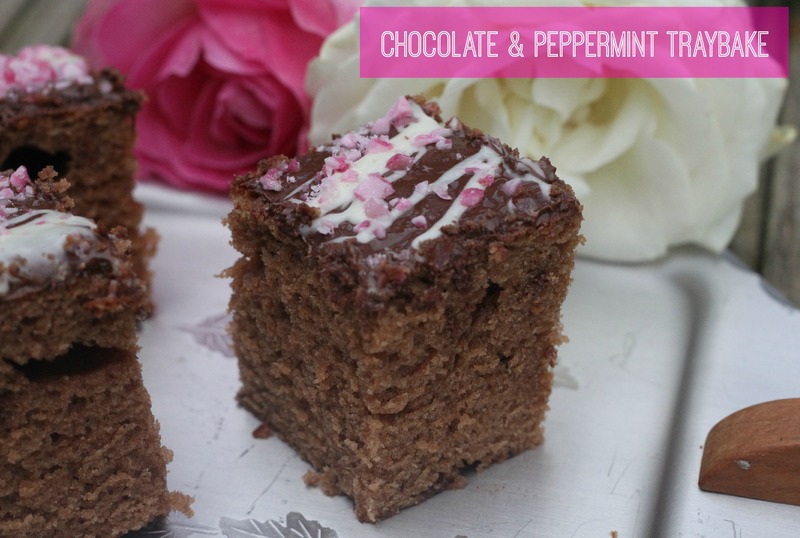 Last week I made a chocolate traybake cake and seeing as I had some peppermint candy canes left in my cupboard, from making a peppermint cake a few weeks ago, I decided to add them to the topping for a Christmassy flavour. 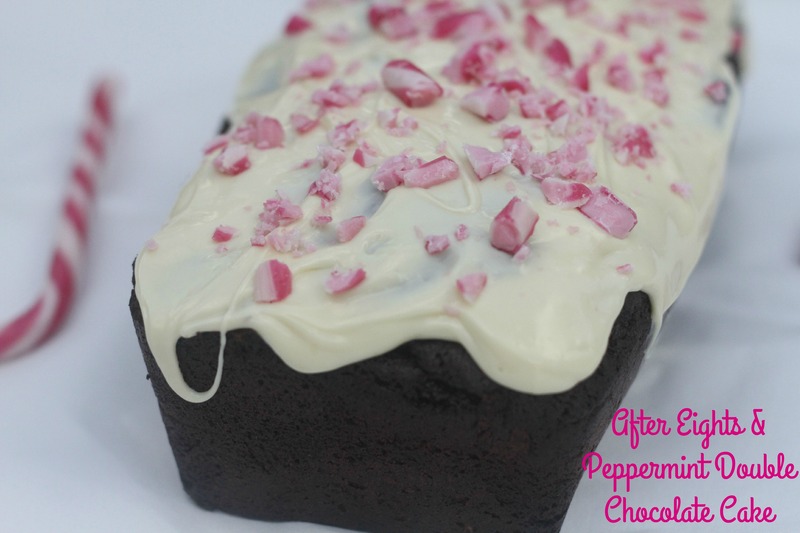 Not only do the candy canes taste nice mixed with chocolate on a cake, but it looks pretty too with the pink, red and white minty shards scattered across the top of a chocolate covered and flavoured cake – yum! With the Great British Bake Off and my bloggers bake along now finished for another year, *sobs* , you would think it would be a chance to wind down and relax and maybe even take a little cake making break? Ha! As if! I am still baking as much as I was during the series, just with less direction as I have no baking themes to follow now! I do love smoothies and I remember several years ago I had my own smoothie maker, and I used to make one each day for breakfast or to take into work to drink at my desk, if I had to be in early that day. Burton and Jenson also like drinking smoothies and I do try to include it for breakfast most days during the school week. I use to make my own, but my trusted smoothie maker stopped working about 18 months ago, so since then the boys drink ready made smoothies which I buy in the supermarket (usually when they are on special!). With a little more than 2 weeks to go until we all find out if we have made it on to the ‘naughty’ or ‘nice’ lists, it is a good time to bake some Christmas inspired cakes.